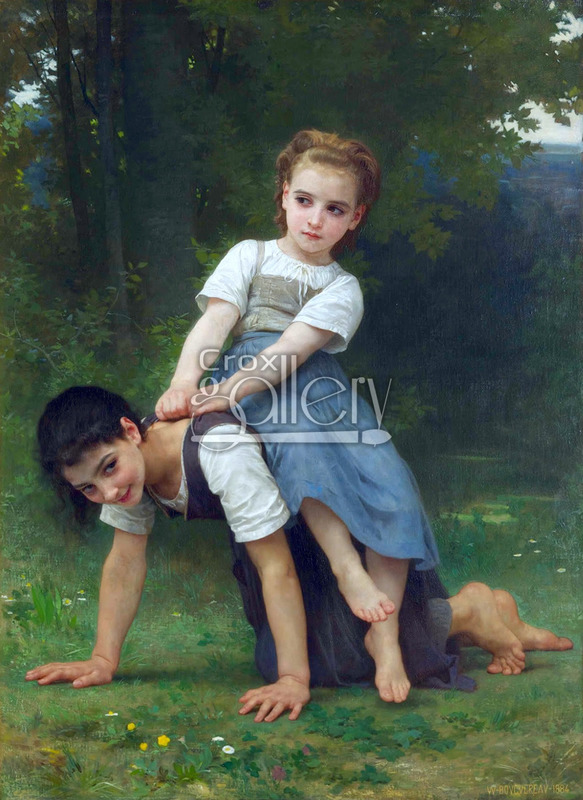 "The Horseback Ride" by W. A. Bouguereau, French work of art. This work entitled "The Horseback Ride" also known as "La Bourrique" (french), was painted as an oil-on-canvas in 1884 by the French artist William-Adolphe Bouguereau. Two girls, one seated on the shoulders of the other, are playing outdoors in a rural setting. 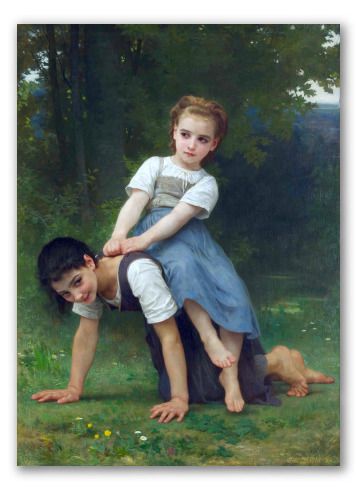 Both girls were painted with exact body proportions and depicted in complicated positions. The level of detail in the faces, hands and feet is also outstanding. This work of art is found at the Berkshire Museum in Pittsfield, Massachusetts, United States.